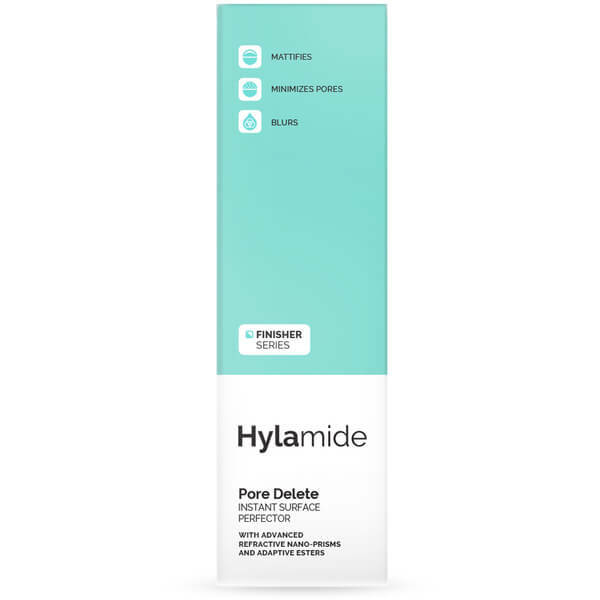 Create a perfected complexion with Hylamide's Pore Delete Finisher, a maximum-strength blurring formula that works to immediately blur visible pores, shine and textural irregularities. The clear prismatic fluid is ultra-concentrated and utilises very high strength prisms to create light confusion. Its blurring properties instantly camouflage pores, lines and shine whilst scattering light to create a 'frosted glass' effect that expertly diffuses imperfections. 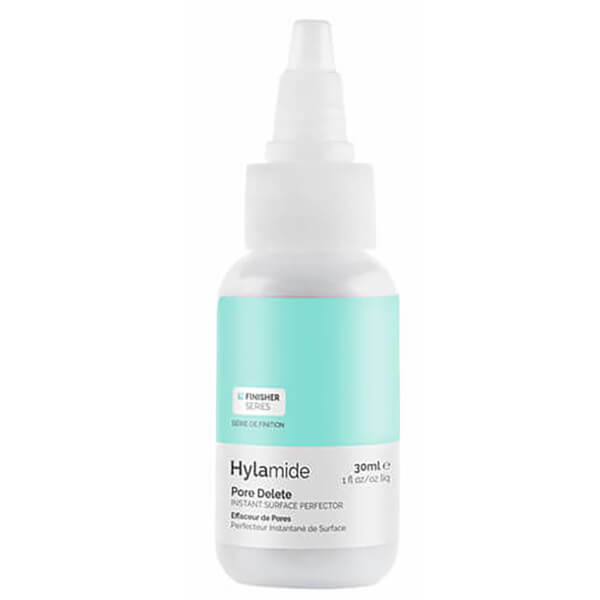 Helping to mattify skin, the blurring solution will minimise the look of pores, inflammation and redness whilst refining the skin's appearance over time. 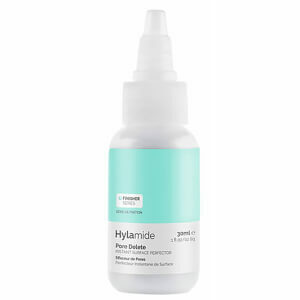 Not recommended for very dry skin or for skin types without prominent pores/congestion. If used without makeup, apply as last skincare step. Otherwise, pat gently over face with fingertips after liquid foundation but before powder. Avoid product contact with dark fabric as it may leave a residual (temporary) white effect. Adipic Acid/ Neopentyl Glycol Crosspolymer, Aqua (Water), Dimethicone, Cyclohexasiloxane, Ethoxydiglycol, Vp/Va Copolymer, Vinyl Dimethicone/ Methicone Silsesquioxane Crosspolymer, Tasmannia Lanceolate Fruit/ Leaf Extract, Glycerin, Peg-10 Dimethicone, Acrylamide/ Sodium Acryloyldimethyltaurate Copolymer, Isohexadecane, Polysorbate 80, Amodimethicone, Hydroxypropyl Methylcellulose, Caprylyl Glycol, Phenoxyethanol, Chlorophenesin.